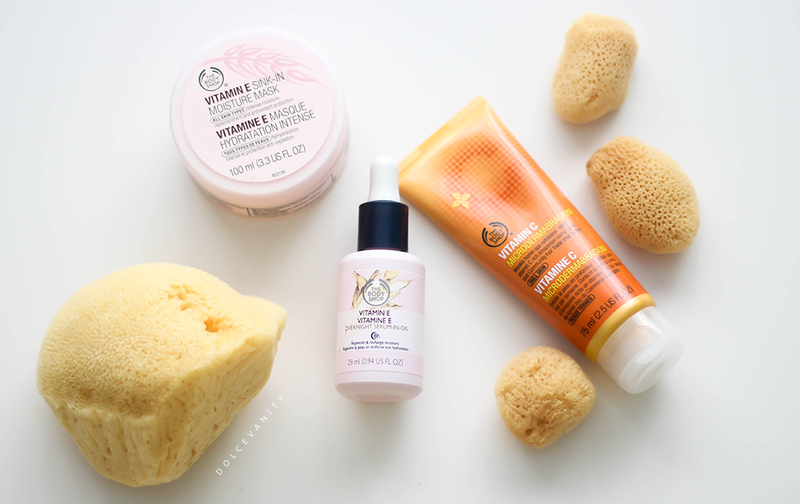 Winter Skin | Moisture Boost. I stick to a lot of my primary skincare. I may add things here and there such as serum, face masks and scrubs. Quite like this post. I'm showing you what I've been using for my skin now that the cold weather really has taken effect and what extra boosts have helped keep my skin afloat. This mask I found worked so good with my skin. You can leave it on overnight or 20 - 30 minutes and wipe off. I don't use it every night but if my skin during the day has been suffering with the cold then this is an overnight must. I was shocked the few times I used it overnight that in the morning I felt like I didn't even have to wash and cream my face, I still did of course! I was amazed at how well this worked on my combination skin but the again maybe I'm a little vitamin biased. Over the years I've become a serum convert. Used at night and given an 8hr benefit for the skin, I love how my skin feels using this. This is a light oil texture, I drop at least 3-4 drops on my palm and use over my neck and face and my skin has a nice glow to it without it looking baking greased. Even with moisturiser on top the skin has a soft appearance and touch. I've been using this for a few weeks and I love how my skins been looking even more in winter. From the bathroom. This weekly scrub - that I've been using twice weekly because I find it's that soft. It's not a gritty, rough scrub. I haven't experienced any tingling or scratching to the face. I'm hoping this helps to lighten slight pigmentation I had from a couple spots. The skin appears brighter after use, not red or irritated. I've not noticed this getting rid of the small amount of blackheads I can get on my nose but adding these products to my skincare routine has helped out nicely. I've been trialling these sponges and cleansing in the morning using these. I wet my skin and start to rub my chosen cleanser over my face before taking a sponge and I start from my forehead and work down and use the sponge to give my skin a deep cleanse. Pleasantly surprised how this aided the skin in more of a deep scrub on the skin it also gave me a gentle exfoliation. Have you added any products to your winter routine?